Finding the right balance of beer categories for your bar, restaurant or retail establishment can be a delicate process. If you are in charge of a business’ beer inventory, you’ll need to maintain a close eye on a wide variety of factors which can help you fine tune your choices. It’s an ever-evolving process, but the results are tangible and immediate – higher sales. Here we’ll examine some key components that need to be taken into consideration when choosing beers to sell. 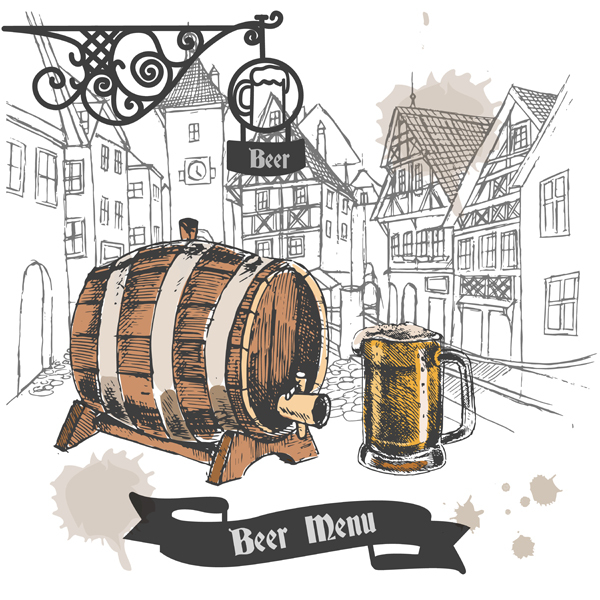 First, you need to be familiar with beer and the industry – market categories, styles, popular trends, seasonal trends, new releases, and understanding how beer is brewed, distributed and sold. There’s no such thing as too much knowledge. Numerous sources exist for current trends including online review sites, consumer and trade publications, news and blog sites, distributor e-newsletters and more. Choosing several reliable sources that you can regularly monitor will prove invaluable in helping you maintain a menu relevant to your customers. The more you stay current with trends, the better your selection-making will be. Beer is divided into market segments such as local, regional and national (craft brewers), domestics (macro brews like Budweiser), craft imports and macro imports. Each will appeal to a different palate, which means you must understand the focus of your establishment, and therefore the tastes of your existing customers and of those you wish to attract. Are you running an uber-hip urban joint catering to upscale trend-spotters? If so, you may want to focus on local, regional, national and import craft. Do you operate a local farm fresh gourmet restaurant? Your portfolio may be heavier in local and regional craft with a few well paired craft imports. Do you operate a beer and wine retail store? Then, you may want a wide selection skewing toward or away from flavorful beers depending on the demographics of your area. Why do these segments matter? Each carries a varying price point, and each places a different premium on quality and flavor. While the brewers all value quality, their standards and practices vary, as do their means of brewing. Local brewers often achieve fantastic, powerfully flavorful beers built specifically for their town or region, but can sometimes struggle with quality control. The bootstrapped nature of the small brewer leaves fewer resources and infrastructure to maintain a consistently terrific product. Sometimes the local brewer will lack the capacity to meet demand, or in a worst-case scenario, having to dump a batch could mean days to weeks without a product. On the other hand, large domestic brewers rarely struggle with quality control, as they have both the resources and the infrastructure to create the same product every time. The flip side is that the amount of beer these brewers produce leaves little room for deviation from the norm, and often leads to corners cut on quality, as rapid production and minimizing raw materials costs become all-important. The middle ground of both consistency and appealing flavor is most characteristic of imported beers. Unsurprisingly, these products have dozens, if not hundreds of years of brewing behind them, giving their brewers time to evolve and refine the recipe while maximizing production efficiency. These beers are proven in the market place, and their brewers take a deep sense of pride in their product – enough to ship it overseas. To the customer, this lends an air of authority and class to the beer-drinking experience akin to that of a fine wine. So, what do you choose? It will depend on your location, your operation, and the demographics you aim to bring in. With only location in mind, the closer you get to urban or suburban hubs, the more imported and local beers you will want to have. If you’re in a more rural area, domestics are going to play a larger part in your portfolio. However, if you’re in a growth area, college town, or just a place in need of something different, there will always be customers open to trying something new. Even if domestics are your bread and butter, keeping a couple taps open for imports or locals can often lead to amazing sales. These taps will also allow you to customize your selection for various seasons and trends. No matter where you are, a classic Oktoberfest or winter warmer is practically guaranteed to do well in season. By default, they stand out; not just in flavor, but how they look in a glass. A common dilemma is how much you should weight your local and imported selections. If you’re a dining establishment, you’ll want beers to complement the food you offer. This is where imports shine, with their refined, sophisticated quality and vetted ability to blend with food. Locals customers are a proven gateway to new drinking experiences. Let your local, regional and import craft offerings work together and feed into each other. Make sure that each selection brings something different to the table and well complements and contrasts other beers on your menu. Lastly, consider the role your staff plays in the sales process. The more engaged and knowledgeable they are, the greater their ability will be to point customers to the right beer for the moment, even if the customer is totally unfamiliar with what is being offered. The biggest barrier to selection is lack of education. The more trained your staff the more value they can offer to the customer’s beer selection, enjoyment and appreciation. A better educated customer tends to be a more eager customer. Unless you’ve gone all-in on one or the other, finding the balance between locals, imports, and domestics comes down to understanding your business’ identity. Are you a haven for hard-to-find, exceptional beer? Adding more imports will increase your reputation, and margins. Are you a college bar that understands the needs of the millennial? Strike a balance between affordability and quality, but leave room for expansion and choice. Do you only sell light lager? If so, think back to the first time you had a truly outstanding beer, and look for ways which you can share the joy of exceptional ale with the uninitiated.